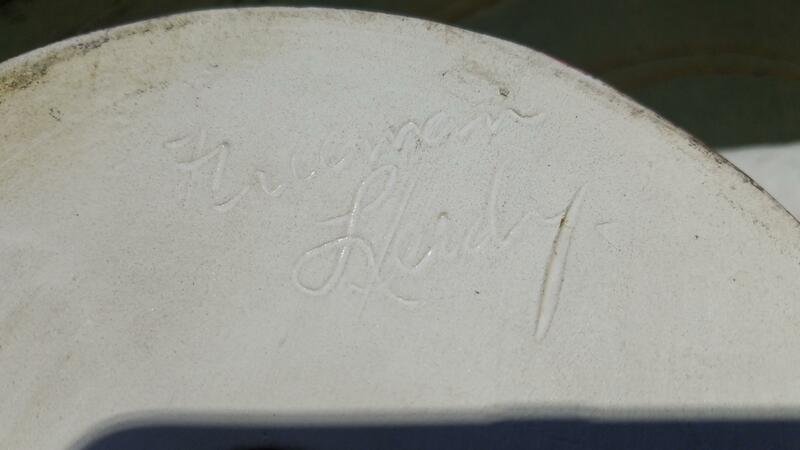 A pair of columnar candlesticks marked on the bottom "Freeman Leidy". My grandmother always had these in her dining room on her buffet with candles. I am 70+ and cannot remember when she didn't have them. 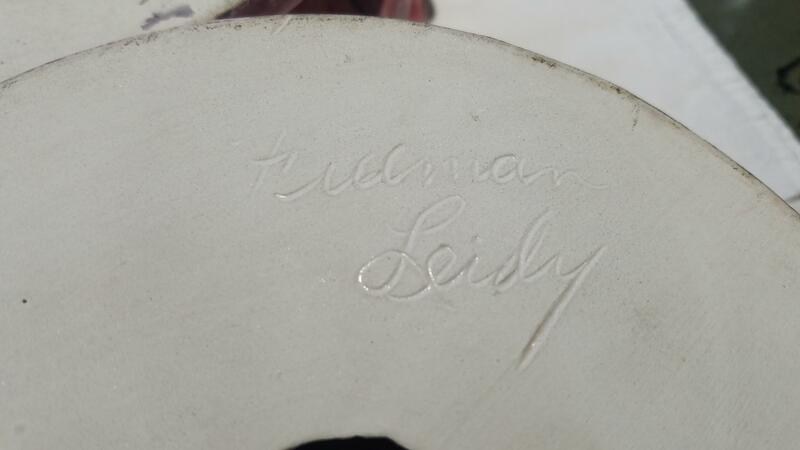 She lived on a remote ranch in western Kansas, and after reading about the ceramics works, have to assume that she acquired them around the time I was born when she and my grandfather took a rare road trip to southern California, in 1947. The pieces are as shown below--not quite as intensely colored as the photo appears, with gold leaf edges and highlights. They are about 9" in diameter and 4" high. 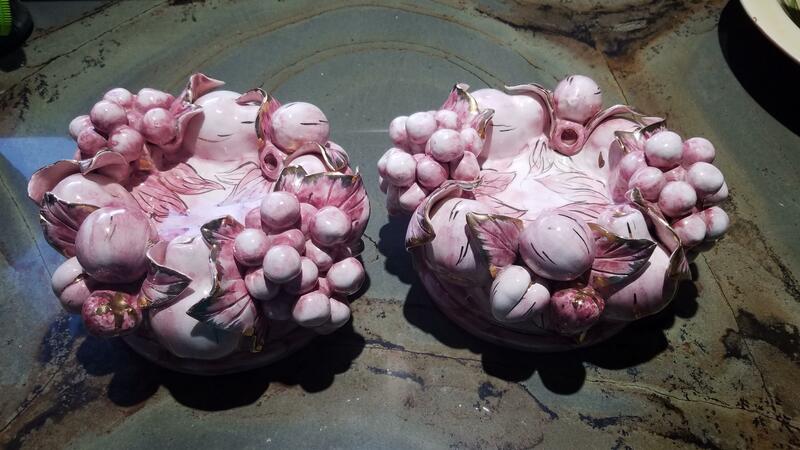 Ceramic, looks like porcelain to me.